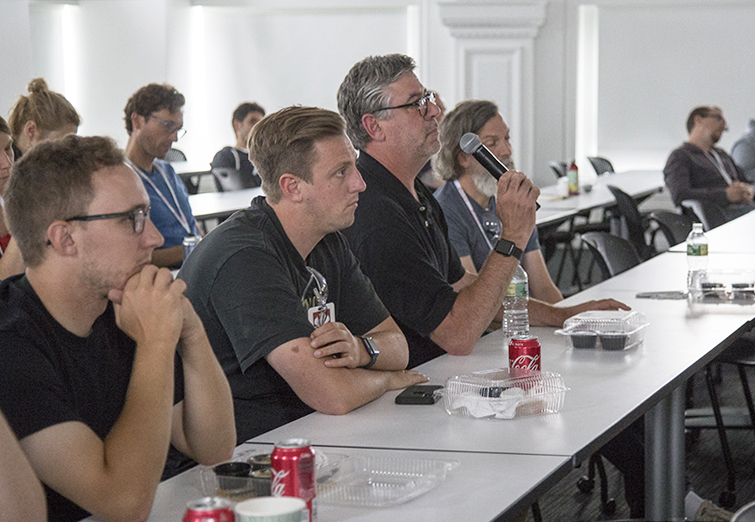 This blog is part two of our ACAW Re-Cap series, detailing the lectures, accomplishments and knowledge gained during the third-annual Architectural Ceramic Assemblies Workshop. (Go back and check out Part 1 if you missed it). Through the course of the Architectural Ceramic Assemblies Workshop, prototypes were assembled and tested at the University at Buffalo School of Architecture and Planning’s SMART Lab. Participants were given tours of the facilities of Boston Valley and visited local historical sites, which define the architectural landscape in Western New York. Presentations were given throughout the ACAWorkshop by industry experts, furthering discussions of innovations in ceramic manufacturing. 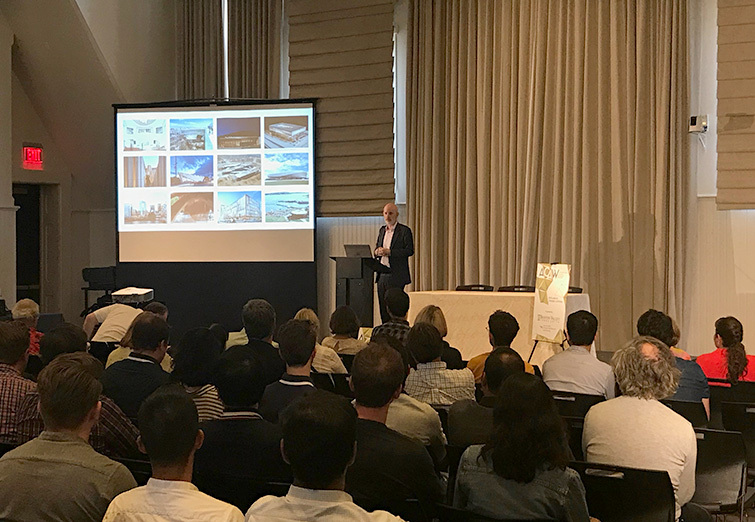 The final lecture, open to the public and presented at The Hotel Henry, was headlined by keynote speaker Chris Sharples, AIA, Principal at SHoP Architects. Below are brief summaries of topics discussed during the various lectures. John discussed the progression of Boston Valley throughout his time directing the company. The manufacturing capabilities of the factory have increased with the help of technological advancements, such as modern surveying & documentation methods and 3D rendering software, and the mastering of four different forming methods. Improvements to manufacturing terra cotta for Rainscreen and masonry construction have helped the company to evolve into a terra cotta manufacturer whose work is both renowned and respected in the industry. These advancements have allowed for complex façades, like the John and Mable Ringling Museum of Art — Center for Asian Art, to come to fruition. John Krouse, CEO of Boston Valley Terra Cotta takes the mic to ask a question at an ACAW lunchtime lecture. Anne Currier is a renowned ceramic artist and professor emerita of the New York State College of Ceramics at Alfred University. Anne’s relationship and work with Boston Valley Terra Cotta has lead to the creation of various custom ceramic tile walls, such as the Miller Theatre at Alfred University, the Boston Valley conference room, and at One Great Jones Alley in New York City. 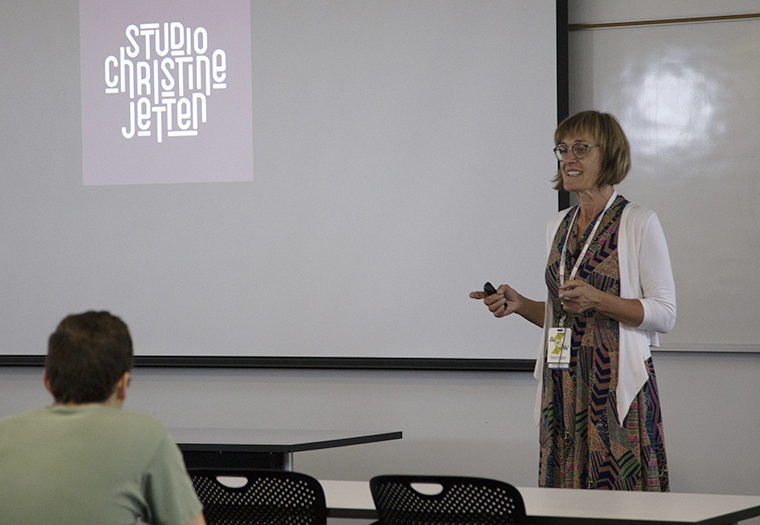 Anne talked about her past and present projects with Boston Valley, specifically the design and manufacturing of terra cotta tiles for her upcoming solo exhibition at the Burchfield Penney Art Center, entitled Display. Matthew Krissel spoke about the collaborative and multi-disciplinary approach to design taken at KieranTimberlake. Their firm stresses the importance of research in the initial stages of design and the value of collective intelligence in the design process. 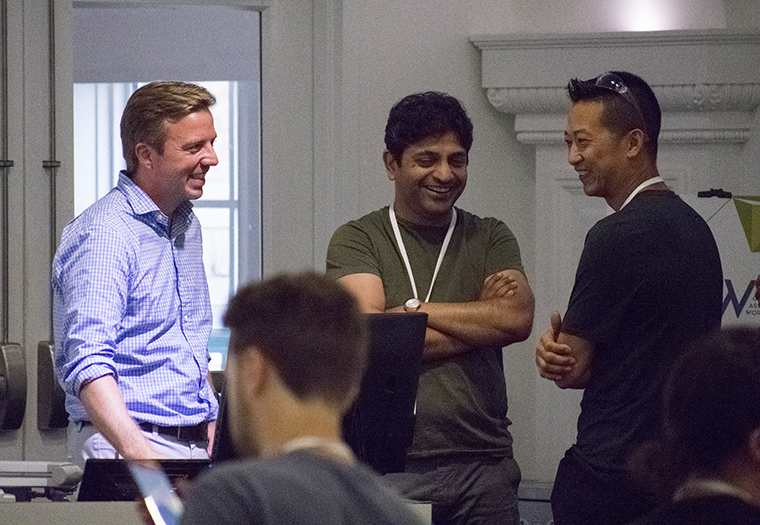 Kiernan Timberlake Partner Matthew Kissel, SMART co-leader Omar Khan, and Stan Su of Morphosis relax after Matthew’s presentation on design methodology. In Craig Copeland’s lecture, he spoke about his personal work as an artist working with ceramics and stone and how it balances and influences his work as an architect. Additionally, he detailed some of his Rome Fulbright studies, learning about Etruscan funerary hut urns and various medium that are Italian by nature, and the cyclical process he takes between sketching, modeling, and sculpting. Craig Copeland, Associate Partner of Pelli Clarke Pelli Architects. Read more about Craig Copeland’s work at ACAW here. 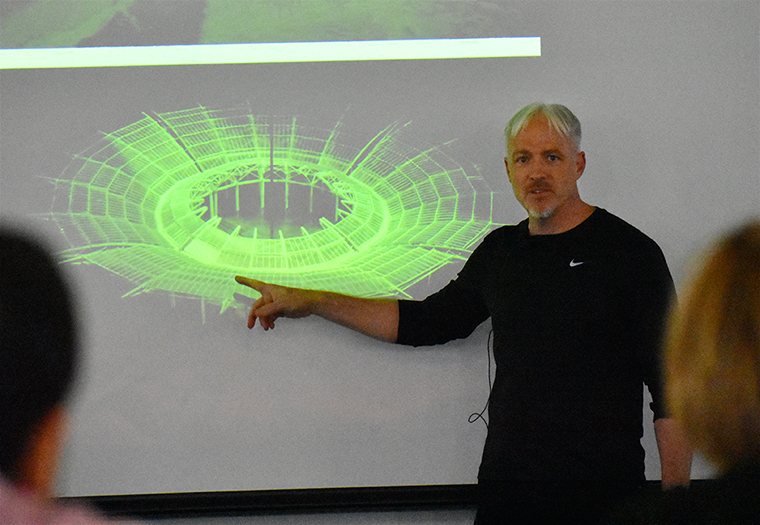 Gerd Hoenicke gave a lecture on, “The Design Principals of Unitized Façades,” where he outlined the differences between American and European unitized façade systems, detailing his reasons behind his preference for the latter over the former. The ceramic glaze artist, who participated alongside Team University at Buffalo to create the iridescent glazes for their prototype, discussed her international work creating custom glazes for architectural facades. Jetten has worked with Boston Valley Terra Cotta in the past to formulate different unique glazes for various projects. 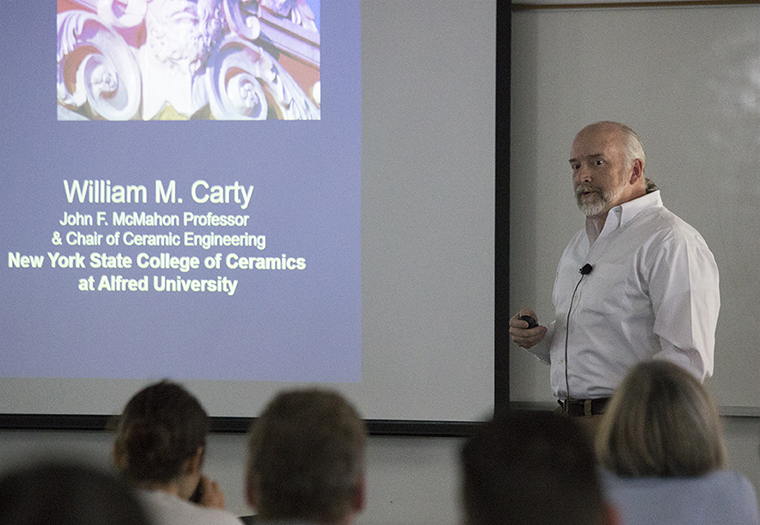 Dr. Carty’s lecture was entitled, “Limitation Considerations for Clay & Glaze.” He informed the attendees about the relationship between ceramic clay bodies and the surface coating of glaze, going into technical detail about the strength and failure of these materials. At the final presentation of the ACAWorkshop, Chris Sharples showcased a selection of the firm’s extensive list of projects, illustrating the use of the model as an iterative, organic tool in the design process. Sharples discussed technology and software’s capacity to further the innovation of the manufacturing and construction industries. Chris Sharples, AIA, Principal at SHoP Architects, delivers his keynote address.